Chicago Bicycle Accident Lawyer | Illinois Bicycle Lawyers at Keating Law Offices: Attorney Mike Keating's Article On Bike Share Liability Published In "Trial Magazine"
Attorney Mike Keating's Article On Bike Share Liability Published In "Trial Magazine"
Since 2010, bike share usage has increased exponentially throughout the nation. Chicago's Divvy system has proven very popular since its inception. By their very design these systems allow anyone with a credit or bank card to rent a bicycle from a designated station, ride the bicycle for either recreation or as a transportation alternative, and then return the bicycle to one of many available stations. This leads to riders with a wide array of skill and experience levels on the roadways. The increase in bike share usage correlates to massive increases in bicycling overall and, unfortunately, injuries from bike accidents. Keating Law Offices's attorney Mike Keating wrote an article entitled "Bike Share Roadblocks" that was published in the April edition of Trial Magazine. The article discussed the legal issues that can arise if the bike crash occurred due to some kind of flaw in the bike share bike or the bike share station. Typically states and local municipalities are protected by some form of immunity statutes and laws from premises liability, motor vehicle, and roadway design claims. In Illinois this law is known as the Local Government and Governmental Employees Tort Immunity Act. Under this law, the City can claim it is not responsible for some failures of the stations or bikes under the same argument that municipalities make about not being responsible for a dangerous sidewalk or roadway. So you should expect the municipality or local government and the affiliated companies who operate and maintain the bike share systems to raise a tort immunity defense since the system is operated in part by the city government. In the article Mike Keating argues that cities should not be able to hide behind tort immunity when riders allege they failed to provide safe stations and bicycles. It is the responsibility of the operators of these systems to provide reasonably safe stations and bicycles for its riders. Divvy and the City of Chicago have made efforts to keep the system running smoothly. But inevitably issues can arise and accidents can happen. In these instances it is important that an injured bicyclist know that there are legal arguments that can be made to protect their rights. Attorney Mike Keating, founder of Keating Law Offices, is one of the nation's leading attorneys who focuses his practice on bicycle litigation. Mike Keating has been the Chair of the Bicycle Litigation Committee for the American Association for Justice for the past five years. All of the attorneys at Keating Law Offices are experienced and skilled transportation litigation attorneys. 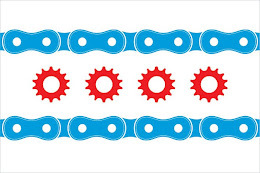 The firm's commitment to bicyclists is simple: Keating Law Offices is committed to assisting any bicyclist injured anywhere in Illinois at any time. The firm offers free legal consultations with absolutely no obligation. There are never any attorney's fees unless the firm makes a recovery on behalf of the bicyclist injured in a bike crash. If you have any questions regarding Illinois bicycle laws or laws affecting a case involving a bike accident, contact Keating Law Offices today.